Alan Turing, convicted in 1952 for homosexuality, has today received a royal pardon by Queen Elizabeth II. Turing is widely known as a World War II hero after helping to decipher German Naval Enigma codes. However, after being convicted of homosexuality and being forced by the government to undergo chemical castration, he lost his security clearance so was prevented from continuing his code-breaking work. Turing committed suicide in June 1954 by cyanide poisoning. The pardon was request by Justice Minister Chris Gray who said, “His later life was overshadowed by his conviction for homosexual activity, a sentence we would now consider unjust and discriminatory and which has now been repealed. Human rights campaigner Peter Tatchell stated, “I pay tribute to the government for ensuring Alan Turing has a royal pardon at last but I do think it’s very wrong that other men convicted of exactly the same offence are not even being given an apology, let alone a royal pardon. In December 2011, a government e-petition received more than 34,000 signatures but was denied by the then justice secretary, Lord McNally, who said Turing was “properly convicted” for what was at the time a criminal offence. In August 2009, a petition was also started to demand a pardon. 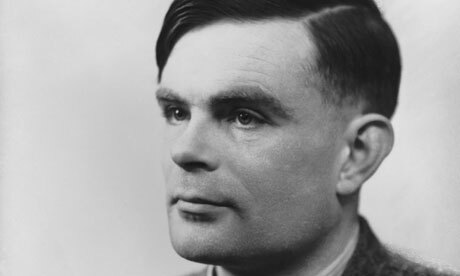 However, it only resulted in an apology from the then prime minister, Gordon Brown, who said Turing’s conviction for his homosexuality was “appalling”.